UPVC or composite doors older than 15 years could be at risk of cylinder snapping. Upgrade to one specifically designed to prevent this method of attack. 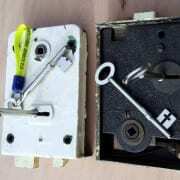 External timber doors should be secured using a mortice lock or nightlatch that meets BS3621. All windows should be fitted with at least 1 appropriate lock. Stay secure – lock all doors and windows when you leave your home, 73% of burglars gain entry via a door. 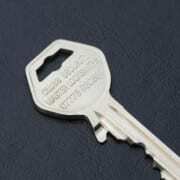 How many people have keys to your home? If you’ve recently moved house it’s advisable to change the locks, you never know who may have a copy of your keys. For a free survey of your home and quotation Contact us for an appointment. https://www.clubbsecurity.co.uk/wp-content/uploads/IMG_3277.jpg 299 448 Clubb Security https://www.clubbsecurity.co.uk/wp-content/uploads/header-logo-340x156.png Clubb Security2014-09-13 10:17:392018-12-20 19:17:41Who has keys to your property?